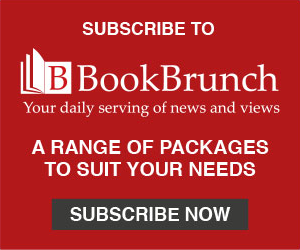 Olivia Beattie, managing editor of Biteback Publishing, has acquired world rights to Michael Gove: A Man in a Hurry by Owen Bennett, head of politics at CityAM and the author of Following Farage and The Brexit Club. According to the acquisition statement: 'Michael Gove is one of the most recognisable faces in British politics – and one of the most divisive. Whether it’s taking on the education "blob", acting as frontman of the Brexit campaign or orchestrating one of the bloodiest political assassinations in the history of British politics, Gove is a man who makes things happen. 'But it was almost so different, and his story, from an Edinburgh orphanage to standing for the leadership of the Conservative Party, could have come straight out of a Charles Dickens novel. A charming man to his friends, and a cold-blooded zealot to his enemies, Gove is set to play a crucial role in the future of the UK. Bennett said: "Two years after being banished to the back benches following one of the most brutal – and cack-handed – leadership bids in British political history, Michael Gove is now playing a key role in delivering Brexit. It is the latest twist in an extraordinary life, which has seen Gove rise from an Edinburgh care home to become one of the most powerful politicians in the country. "Love him or hate him, it’s impossible to deny Gove is that rarest of things in today’s politics: a big beast. He provokes a reaction from everyone, be that loyalty, anger, respect or fury. It is hard to think of another politician – especially amongst the current crop – who actually stands for the power of ideas and who has had such an impact on the country’s present and future." 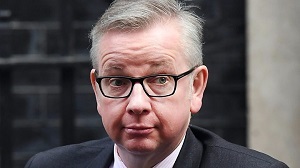 Beattie said: "With Tory Party tensions over Brexit reaching ever more remarkable heights, Michael Gove looks set to continue shaping British politics for months and years to come. Owen’s previous books have been brilliantly written: revealing, insightful and rich in telling detail. I can’t think of anyone better placed to explore Gove’s story, and the Biteback team are delighted to be publishing what’s certain to be a gripping biography of one of Brexit’s chief architects." Bennett is a political journalist working in Westminster. After starting out in local newspapers, he joined the Daily Express, becoming its online political reporter. He then led the political coverage for the Mirror online, and was deputy political editor of HuffPost UK, before becoming head of politics at CityAM. He is a regular contributor to the BBC and Sky News and has also written for The Telegraph, Spectator and New Statesman.